Yet another consequence of Donald Trump’s presidency: Now we must take every celebrity’s suggestion that they’re running for political office a bit more seriously, even if the star in question is Kid Rock and it looks like it might be a stunt. 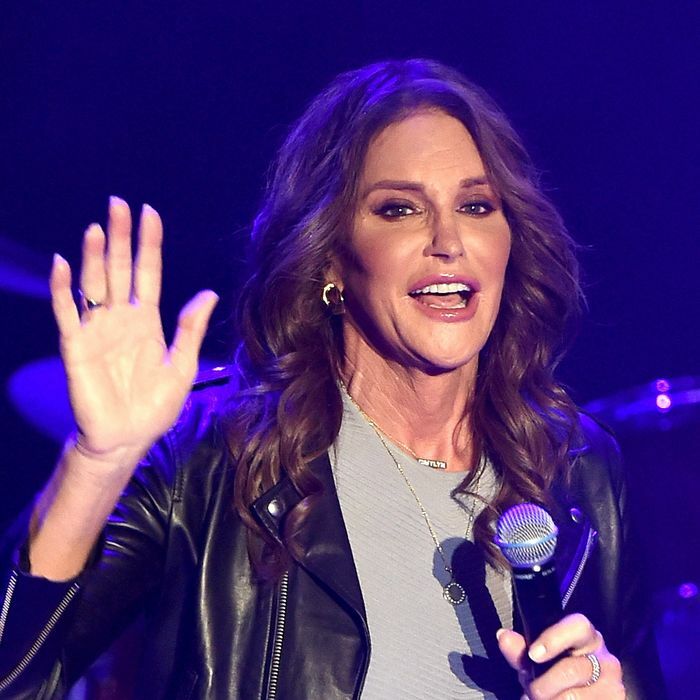 The latest celebrity ostensibly looking to throw their hat in the ring is Caitlyn Jenner, who said Sunday on John Catsimatidis’s radio show that she may run for the U.S. Senate. “I have considered it. I like the political side of it,” she said. Jenner, the Olympic gold medalist, reality-TV star, and transgender activist, suggested she could change the face of the Republican Party. The next opportunity to run may be in 2018, but Senator Dianne Feinstein, California’s 84-year-old Democratic incumbent, hasn’t said whether she plans to retire. As the L.A. Times notes, the California Republican Party has elected a number of celebrities over the years, including former president Ronald Reagan, former governor Arnold Schwarzenegger, and former congressman Sonny Bono. Last fall, Kanye West announced he’s running for president in 2020, so if Jenner does enter the race, prepare yourself for Caitlyn and Kanye Take D.C.
Where Does 2020 Presidential Candidate Kanye West Stand on the Issues?